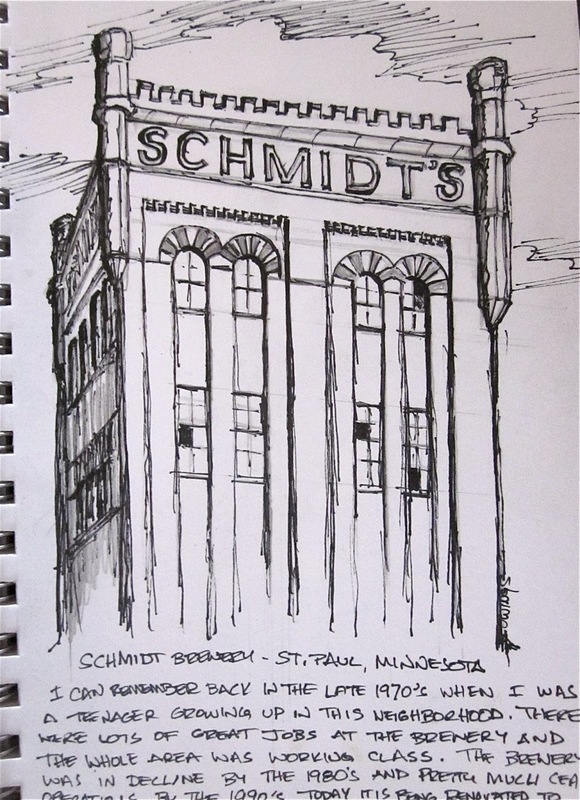 Some sketches in Saint Paul. 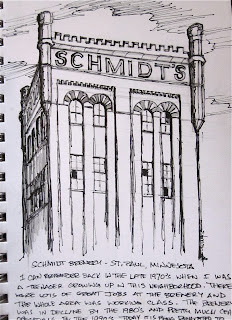 The first is of the old Schmidt brewery on the West End (7th street). It's been shut down for years but is now undergoing a renovation and being turned into artists lofts. 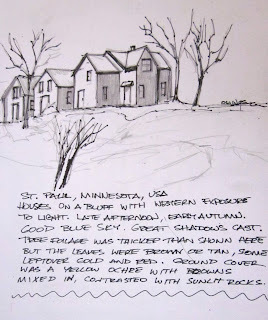 The second sketch is of some older houses on a small bluff not far from where I live. Both sketched with pencil and ink. 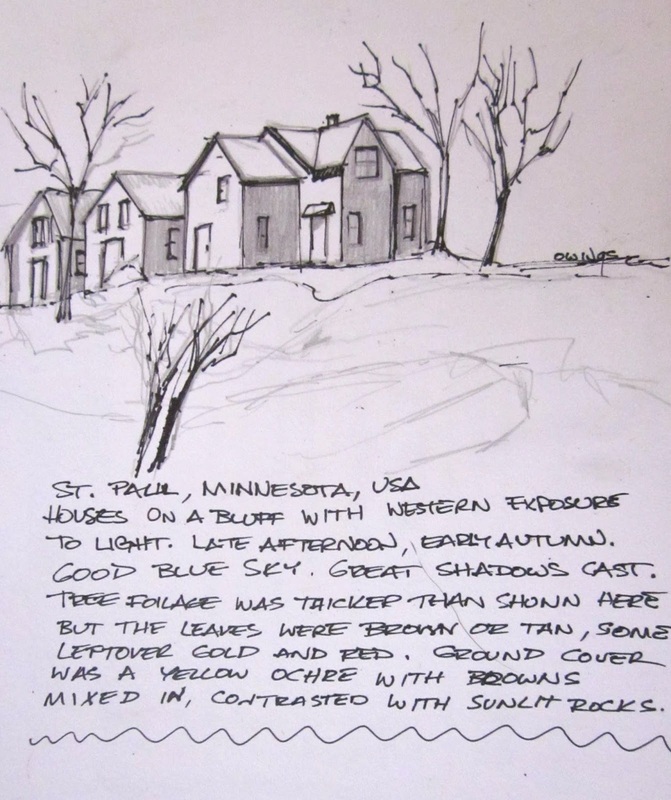 Labels: architecture drawing., houses, ink, Pencil, sketch paper.